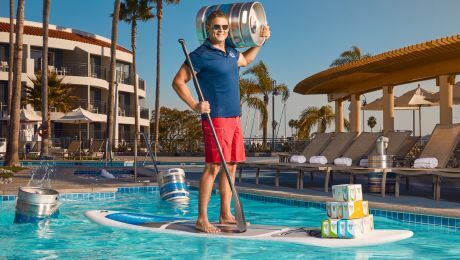 Get a true taste of San Diego–and savor its SoCal vibe–with our curated culinary experience, Flavor by Loews Hotels. Flavor Coronado brings the hyper-local culinary scene directly to the resort. We’ve partnered with the best local San Diego food purveyors, bakers and artisans to give you a taste of the neighborhood food scene. You’ll see the authentic Coronado flavors reveal themselves, bite after bite, sip after sip. What's best? You can have it all without ever taking step off property. 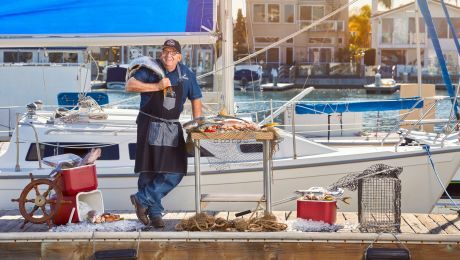 This San Diego fish market works with local fishermen that cast their line right here in SoCal and Baja California. The fresh catches? Sushi-grade seafood, from sea urchin to yellowtail to sea bass. Catalina Offshore Products is known for sustainable practices and has even opened a local Seafood Education and Nutrition Center. Discover its specialties right here at Crown Landing. This North Park neighborhood brewery and tasting room is one of the leaders in the local craft beer scene. Now with three locations, it has a major claim to fame: It was the city’s first production nano-brewery. From the subtle orange honey wheat to the complex Vienna cream ale, each brew goes down easy. Get yours on tap at Cays Lounge, Crown Landing, La Cantina and Silver Strand Exchange. The San Diego go-to for wedding and special occasion treats. You don’t need to have a sweet tooth to appreciate the cakes, cupcakes and other desserts made with wholesome ingredients. From local butter to cage-free eggs to organic field lavender, there’s good stuff in every morsel. Another reason to love Sweet Cheeks? 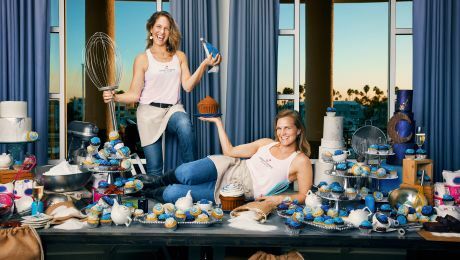 The recipes come from its founders’ favorite women, from grandmothers to best friends. Get your taste at Silver Strand Exchange. San Diego’s craft cocktail scene is on the rise–due to this local distillery, which is San Diego's first female distiller. Its signature sip is Sunday Gin, an American-style gin with fresh citrus notes and a floral finish. You & Yours also distills an exclusive Summer Citrus Vodka, only available at Loews Coronado–made with lemon, kumquat, and rosemary that are grown in our very own gardens. Check out what our bartenders can pour you at Cays Lounge, Crown Landing and La Cantina.